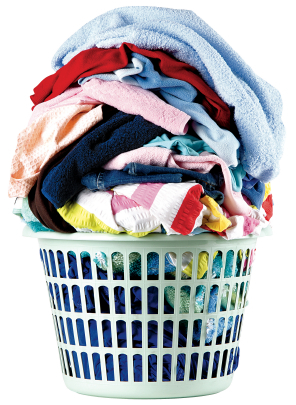 This website gives you tips and information on how to do laundry. It also has the new laundry symbols that are being used on clothing to tell you how to care for it. These labels are becoming more and more popular in clothing, and may eventually replace the words all together. Another cool part of this site is the ability to translate clothing care labels from English for Spanish or English to French and vice versa . I have had occasions where I purchased a piece of clothing and the care label was written in Spanish and this is a great site to help you properly care for it! I hope that the students enjoyed learning this life skill and I loved the comments that I received back from the parents… .Some of which had the following in them. ~ I love this project – When are you going to assign mowing the lawn and washing the dishes? ~ I would not mind if this became a recurring assignment, as I am sure my child can use more practice! ~ Her mother and I were a little scared and we weren’t sure if the right child came home… but then we saw her room and knew it was her!! ~ A real eye-opener – Teaches a valuable skill. If nothing else, it teaches the kids that clean clothes just don’t appear by magic and that laundry takes quite a bit of time (when done properly) Thanks! ~ Love this assignment – Can you have them organize their room next? I received numerous e-mails and know that the parents were grateful to have the students participate in the activity and help out a little more around the house. It is my hope that the parents will continue to have their children help with this household chore and that they will learn even more skills when participating in FACS 8th grade. Which includes even more indepth dishwashing skills/properly loading hte dishwasher, organization of space, and child care skills! Remember – It’s a dirty job, but somebody’s got to do it!